Quilting Creations International Inc. was established in 1980 with the goal of offering people quality quilting stencils at an affordable cost. Now after all that time, we are proud to say we have not only met – but surpassed that goal. Throughout those years we earned a solid business reputation in the quilting industry by doing things right and always putting the customer first. We have worked very diligently, putting our best foot forward in everything we do to become one of the largest quilting and painting stencil manufacturers in the United States. In addition to creating wonderful stencils we produce precut cut applique that is just amazing for companies such as Moda Fabrics, Laundry Basket Quilts, Quiltworx and Urban Elements. Using that very same equipment and knowledge we also produce acrylic templates and rulers for several companies and can do the same for your company. At Quilting Creations, you won't find a friendlier staff! Our website is supported by these very same friendly and helpful people to ensure your online experience is everything you expect it to be and more. 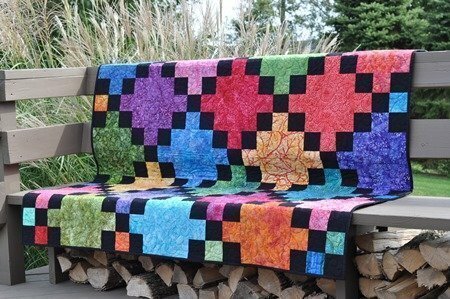 You can count on Quilting Creations International to provide you the very best products and highest level of customer service. We have a wide selection of quilting stencils and painting stencils which are sheets of Mylar plastic with the displayed design cut into them. Under the “Acrylic Quilting Templates” category of our website you will find our Piecing Pal Templates. All of our Piecing Pal Templates are 1/8″ thick acrylic templates which have been laser cut for accuracy. For your convenience 1/4″ seam allowances have already been added and slots are cut into the templates to mark your sewing lines. Complete instructions for use are included with every package of templates. We also have Paper Pantograph designs available. These are 12 foot long Continuous Line Roll Patterns which are designed for any Longarm system. On our website we have Computerized Longarm Designs available. These are computerized versions of our quilting stencils developed for use with your CompuQuilter™, HandiQuilter™, IntelliQuilter™ & Statler Stitcher™ machines. We do require your Controller Serial Number in order to encrypt each Statler Stitcher™ design for you. The pattern will be sent to you via email within 1-2 business days, or for an additional fee we can also ship the selected patterns to you on a CD. You can also find various accessories on our website for marking your projects such as our Marking Magic™ Spray or our Heat Resistant Mylar sheets.